Pega® Platform now provides the pxRunInteraction activity for parsing and analyzing text data (emails, tweets, posts, instant messages, and so on) through conversational user channels. 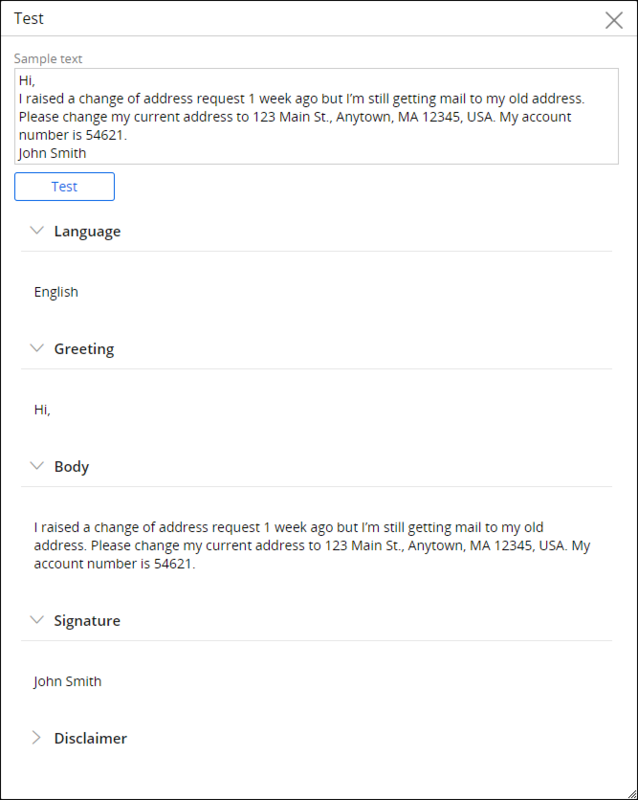 You can use this activity to interact with the incoming text data, for example, if your customers contact you through the email channel, you can divide any incoming emails into segments and analyze the text only in the segments that you need, while removing unnecessary parts of the email message such as the signature or safe harbor notice. For more information, see Conversational user channels. 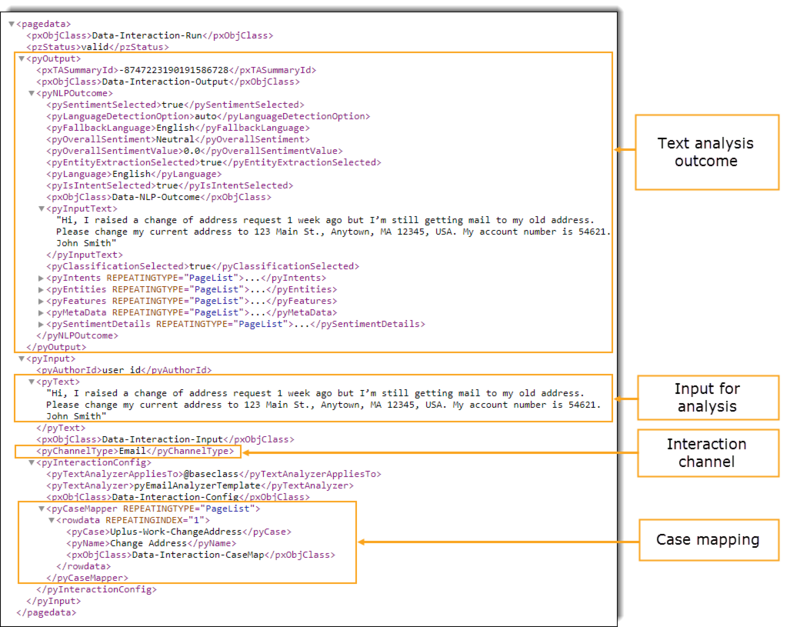 The pyRunInteraction activity runs on the InteractionRun page and contains the pxInvokeInteraction activity that contains the steps for text analysis and content parsing. The pxInvokeInteraction activity is part of the Data-Interaction-Run class. The Data-Interaction-Run class contains two properties: pyInput andpyOutput. The pyInput property is configured as part of the Data-Interaction-Input class and contains information about the unique ID of the author of the text, the text that was analyzed, and the communication channel that the text originates from. If the channel type is set to Email, the text will be further parsed as part of the pxSplitEmailactivity. Additionally, the pyInput property contains information about the case that this text was mapped to as a result of the channel configuration. The pyOutput property is configured as part of the Data-Interaction-Output class. This property contains the unique ID of the interaction (pxTASummaryID) as well as the outcome of natural language processing (NLP) analysis, for example, detected sentiment values, categories, entities, and intents. The pyRunInteraction activity is included with the pxEmailParser Decision Data rule that contains the model for processing emails. By using this rule, you can identify email components such as greeting, body, signature, and disclaimer. You can use this functionality to reduce extraneous information and, for example, extract only the email body for analysis.